Haunting memories of the 2005 Wild Card game against the Panthers (23-0) emerged as I watched the large cats rip the metaphorical Giants apart like a defenseless fried steak. At no point did the Giants really show much heart. I mean my only explanation is that Manning and Coughlin have a psychological block that causes them to re-enact certain things? I mean it just seems like this game was eerily similar to the 2005 playoff game…except of course it wasn’t the playoffs. Also maybe it is time the Giants Organization to make some major changes. It’s been about a decade in the Coughlin Manning Era and it has been extremely successful but all good things must end and maybe the Giants should start looking for a new coach at the end of the season if Coughlin agrees to move on as well. 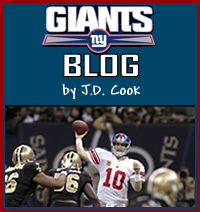 That said I love the Coughlin Manning era and think if the ship is somewhat righted there should be no need for that. The lone highlight was a pick by Aaron Ross that the offense did nothing to capitalize on. It’s hard to write about this game because it’s so bad it’s kind of funny. I should feel terrible but it goes beyond feeling much of anything. 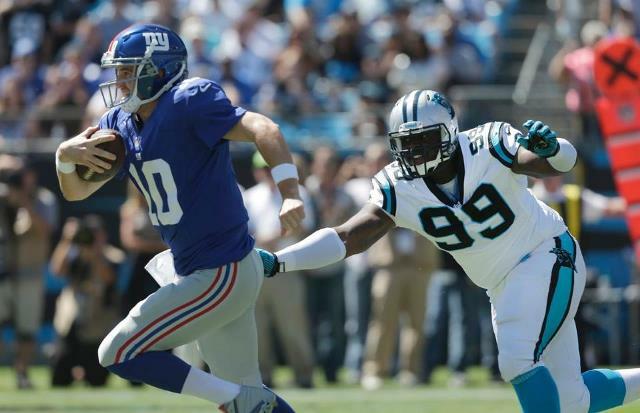 Now that the Giants are 0-3 they have no pressure whatsoever heading into Week 4. I mean yes they have the ‘get a win’ pressure but no one expects much of them anymore. It’s akin to rock bottom because things can’t get much worse then zero wins. So with that in mind Eli Manning should relax and play loose, the defense should just attack and Coughlin should try to ram the ball down the Chiefs throats and keep the pass numbers low. There’s not much more they can do now. Maybe the Giants should have traded for the Browns running back because it could have given the team a spark. I think that’s what is really lacking because I’ve never seen the Giants look so passionless. Anyway I don’t have much more to say but…GOOSE EGG! Further good news:According to Sheldon Brown in this morning’s Inquirer, he and jeemry Shockey had a conversation after the game. The topic? Shockey wants to play for the Eagles.Any way we can get that into the Giant’s locker room?